The No. 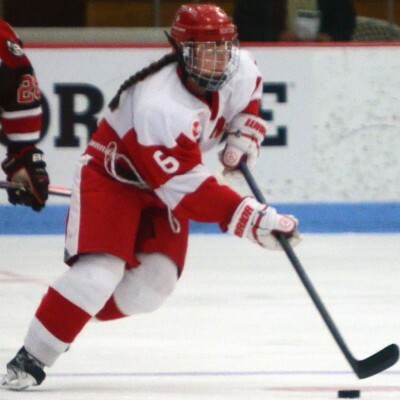 6/7 Boston University women’s hockey team beat Northeastern University 3-2 at Walter Brown Arena Tuesday night in its first home game of the regular season. In their third Hockey East matchup, the Terriers (5-2, 2-1 Hockey East) began the first period strong, outshooting the Huskies (1-3-3, 0-1 Hockey East) 23-18. Despite the fact that the Terriers played most of the first period in the offensive zone, it was Northeastern that opened up the scoring on defenseman Jordan Krause’s shot from the point, just under 12 minutes into the contest. BU would score shortly after on a deflected slapshot during the power play off the stick of senior defenseman Shannon Doyle. The Terriers appeared on the scoreboard once again, this time on even-strength from junior forward Rebecca Russo off a pass from freshman winger Rebecca Leslie only three minutes later. After a mistake on the line change for the Terriers, the Huskies capitalized on their own power play from forward Kendall Coyne, tying the score 2-2 at 19:06 in the first period. The second period featured several chances for BU, which outshot Northeastern 36-23. BU’s penalty kill went to work two times during the second, and successfully stopped all Northeastern attempts at scoring. Finally, at the 10:54 mark of the second period, the Terriers’ first line once again linked up for another goal. Russo scored her second of the night and the eventual game-winner on an assist from Leslie and senior defenseman Caroline Campbell. In the third period, the Terriers maintained their physical dominance of the game, which translated to the lack of change on the scoreboard. In the last minute of play, the Huskies pulled goaltender Chloe Desjardins, but after forward Hayley Scamurra was called for interference with 10 seconds remaining, Desjardins remained in the net, allowing the Terriers to win the game with a final score of 3-2. BU’s freshman goaltender Erin O’Neil started in her second-straight game of the season after sophomore goaltender Victoria Hanson sustained an upper body injury over the weekend in Maine. O’Neil made a total of 37 saves and was credited with her second win of the season.